Fascism, Architecture, and the Claiming of Modern Milan, 1922-1943 chronicles the dramatic architectural and urban transformation of Milan during the nearly twenty years of fascist rule. The commercial and financial centre of Italy and the birthplace of fascism, Milan played a central role in constructing fascism's national image and identity as it advanced from a revolutionary movement to an established state power. Using a wide range of archival sources, Lucy M. Maulsby analyses the public buildings, from the relatively modest party headquarters to the grandiose Palace of Justice and the Palazzo del Popolo d'Italia, through which Mussolini intended to enhance the city's image and solidify fascism's presence in Milan. 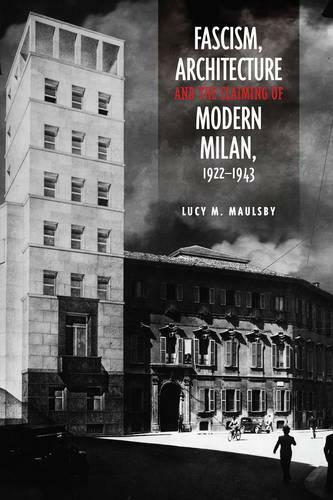 Maulsby establishes the extent to which Milan's economic structure, social composition, and cultural orientation affected Il Duce's plans for the city, demonstrating the influences on urban development that were beyond the control of the fascist regime. By placing Milan's urban change in its historic context, this book expands our understanding of the relationship between fascism and the modern city.